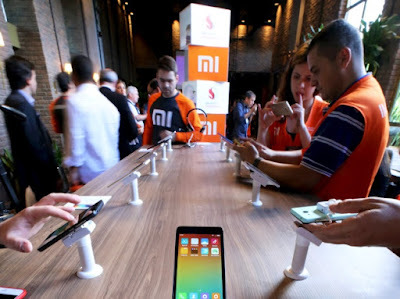 While Huawei is the most popular Chinese phone maker worldwide being ranked third after Samsung and Apple, in China Xiaomi is still holding the supremacy. Which one of the company will win the battle until the end of this year it remains to be seen. Anyway, Xiaomi just introduced its latest flagship at the end of February during MWC 2016 which took place in Barcelona. The handset is called Xiaomi Mi 5 and has already sold a few million units in the company’s home country. Of course, the manufacturer will launch the smartphone in other regions in the near future. Xiaomi also launched the Redmi 3 a couple of months ago, and rumors had it that the Chinese phone maker is preparing to release a new low to mid-tier device which is supposed to be similar to the Redmi 3. The rumors became a certainty when the handset has been spotted on TENAA’s listings a few days ago, and some of its specs were unveiled as well. Now, we have a new piece of information that suggests that the smartphone will actually be called Redmi 3S and it will come with a fingerprint sensor. According to this new report, the smartphone will look the same as the Redmi 3 and will have similar technical specifications, but it will have a fingerprint sensor, unlike the Redmi 3. Even though there is no information about the exact release date of the Xiaomi Redmi 3S, as assume it will be launched sooner rather than later because it has already received the TENAA certification and we all know that this is the last step a device has to make before being unveiled. Some say that the launch event will take place on the 6th of April, when the company also celebrates its anniversary. So, we don’t know when the smartphone for sure when it will be revealed but we’ve seen reports about its price and according to those reports the Xiaomi Redmi 3S will be available for purchase at a price of 799 Yuan ($122). When it comes to specs, the device sports an HD or Full HD display that measures 5 inches and will come with 2 GB of RAM. The phone will be powered by a Qualcomm made Snapdragon 616 octa-core CPU and will feature a 13 MP rear-facing camera. The customers will be able to make video calls and selfies as well thanks to the smartphone’s user-facing 5 MP snapper. All the package will get its juice from a 4000 mAh battery. The casing of the Xiaomi Redmi 3S will be made out of metal and the phone will have a thickness of 8.5 mm. Apart from this, there are no available details regarding the phone whether the information is official or not. If anything else comes up we’ll make sure you will find out as well.